Once again, a swingin' time was had by all at this afternoon's Holiday Fixit Clinic at the Albany California Community Center. I didn't get photos of everything we saw but we were busy the whole time. And how often do you get to see Dean Martin with his pants down? Back then, as now, the issue was frayed wires resulting from the mechanical gyrations of the doll. It's quite a job getting these guys disassembled to figure that out! 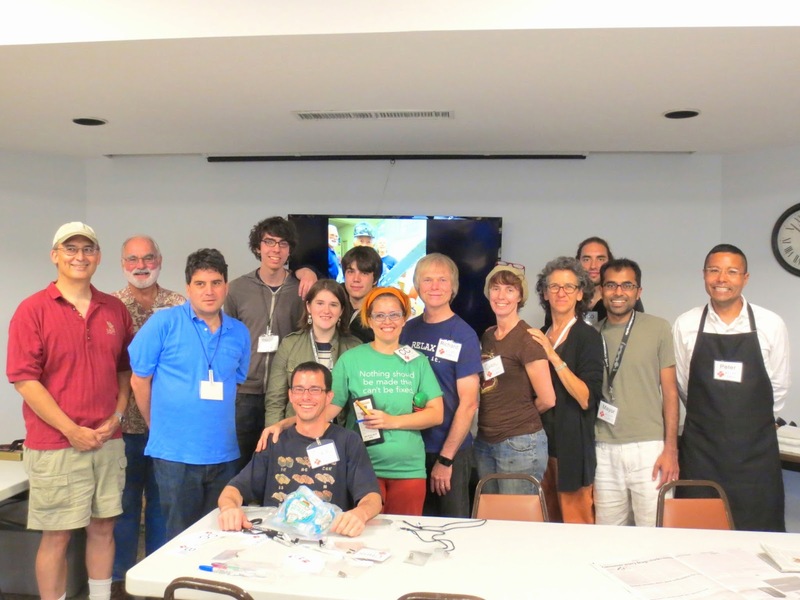 Every Fixit Clinic is kind of like an Improv performance: you never know what the participants are going to show up with. 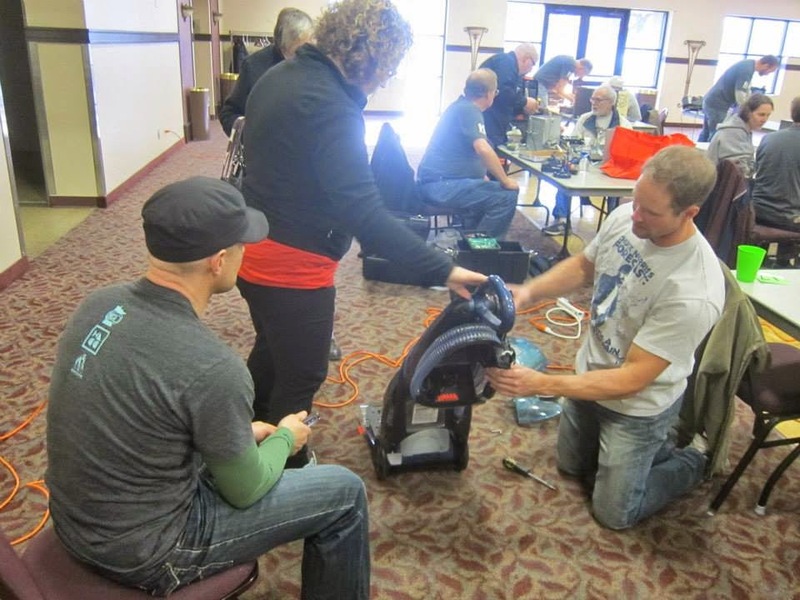 Yesterday Fixit Clinic XCIII (#93) at Hercules Public Library was the day of the vacuum cleaners: we saw three or four of them. Once again, something stuck in the hose, suction is restored! There was also a Teddy Ruxpin doll that ended up looking like something out of a Terminator movie when the owner was done disassembling it. We've got a couple of our own so far (see the Hello Kitty toaster and Vacuum Cleaner posts). Over time, we hope to amass our own collection of stories about what we've seen. Fixit Coaches Chris Witt and Richard Jesch helping to rewind the power cord/spring on that vacuum. One of our favorite locations: we return to the Albany Community Center on Sat. 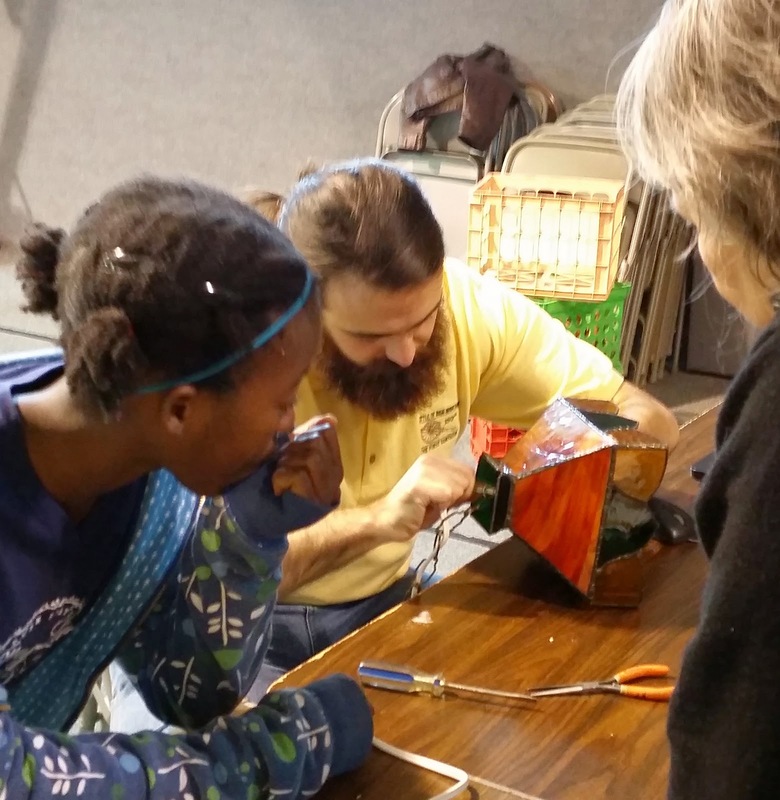 Dec. 13 for the second of two holiday-themed Fixit Clinics: hope to see you there! 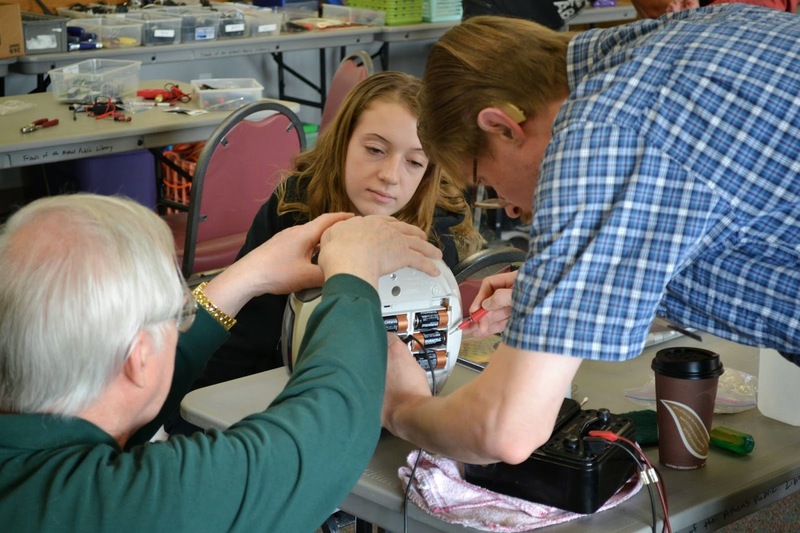 We're proud to have Fixit Clinics as part of the MIT Edgerton Center's programming, we'd like to hold more of them there going forward. It's great to see the events that Zachary Holl and Reuse Industries are holding! Their next events will be in February and March. Nancy Lo and her crew from Hennepin Environment are just humming along! Here's a short video showing the goings on at Fixit Clinic XC (#90) in Boulder CO: many thanks to Wayne for his herculean efforts in getting this going! We'd like to have all Fixit Clinics broadcast live, with the added capability of remote Fixit Coaches on call to augment the on-site expertise. We're thrilled to have helped get Zach's efforts to launch, we're looking forward to helping out in any way we can with future events. We always have a good time at the East Bay Mini Maker Faire, we've been at all five of them thus far. A few of us typically set up the Saturday before the all-day Sunday event. This year I tried creating a Google+ Hangout on Air but the bandwidth at the school wouldn't support it. Many thanks to all the Fixit Coaches who made this another memorable day! As always, it was a hectic but satisfying day of fixing! 1) Without a dedicated person manning the camera/laptop the event was otherwise so busy that remote participants are essentially parked in the corner. My hope was that we could actively engage them in the event. 2) The audio quality is poor, partially because the room is so echo-y. 3) At this point, remote participants only get an overview of the event, it'd be great to be able to actively engage them in ongoing repair, keep a running commentary of what transpires. It was one of our top five busiest days, the event had been promoted heavily throughout San Mateo County and the turnout was large. The Fixit Coaches were up to the task, fixing a wide variety of things. Afterwards, Facility Operations Manager Hilary Gans gave us a private tour of their highly automated waste handing facility: that was fascinating. 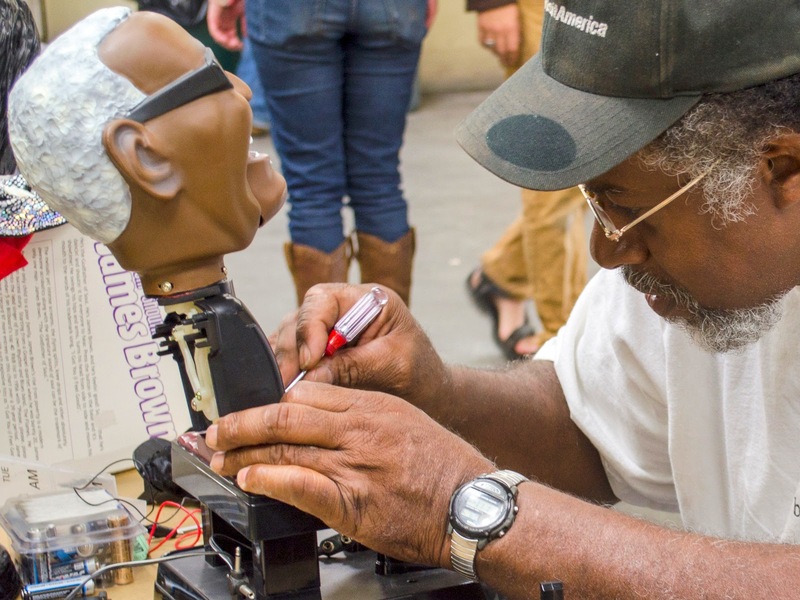 Many thanks to Recology, TechShop, and, of course, RethinkWaste for sponsoring our inaugural SF Peninsula Fixit Clinic! 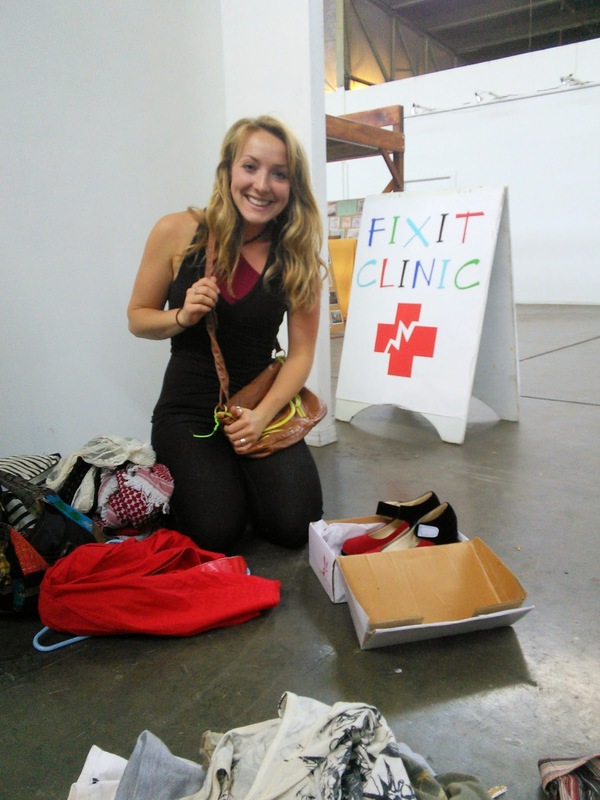 We've been wanting to weave more fabric and clothing troubleshooting and repair into Fixit Clinic. Please pass on a big “THANKS!” to Steve for inspiring me to fix my microwave. I may have mentioned this to you, but I broke the latch on the microwave oven door. Of course, first thought for me is to call someone to fix it. Repair guy came out on a Saturday and said he’d have to check and see if I’d need a whole new door or just the latch piece. He said he’d call back on Monday. In the mean time, I looked up the part info online and found the latch for about $15. The repair guy didn’t call back on Monday, so I ordered the part. He finally did call back on Tuesday and told me that the latch part was back-ordered and wouldn’t be in until October!! But, if I wanted to get a whole new door, he could have one by the first part of August. I told him no thanks, and the part that I ordered on Monday arrived on Friday. I successfully took apart the door and replaced the latch. I don’t think I would have thought about doing it myself if I hadn’t been inspired by Steve. Also, my husband came home from a business trip on Sunday, and we wanted to BBQ for dinner. We had to replace propane tank on our BBQ because it had run out of gas. He couldn’t get it to work (he has replaced the tanks many times in the past), but he didn’t want to mess with it so we cooked on the stove. Next day I fixed that also!